There's one unfortunate side effect of cancer treatment, which doesn't get talked about a whole lot. But it makes you really cranky. That side effect is that your digestive system sort of stops working properly. Radiation therapy can wreck havoc with the regular functioning of your innards, and chemotherapy is by all accounts worse. I only had radiation therapy, but on top of that having multiple surgeries in my abdomen area meant that putting effort into certain actions that you take for granted when you're healthy became painful and stressful. The end result was that I got into a vicious cycle. I'd become terribly constipated, have to take something for it, then have the polar opposite problem for days on end. I felt so icky and irritable all the time. Talking to my doctors about the problem didn't yield a lot of good answers. "Eat fiber, fruits and vegetables" they'd say. But I already was eating all of those things, when I could stomach them, but the can't poop - can't stop pooping cycle continued. I lost my appetite, which made things even worse. A healthy digestive system means that your immune system is working properly, and mine clearly wasn't. The theory behind why fermented foods are so good for you is that they add beneficial bacteria and enzymes to your system. So, I consciously tried incorporating more fermented foods in my diet, especially miso, shio-kōji and yogurt. Mind you, this is in addition to the generally vegetable-and-fiber-rich diet I was already attempting to eat. I'm not saying that fermented foods are some kind of cure-all, and I am not sure if they help to prevent you from getting colds and such as some claim. There does seem to be more serious academic research into fermented foods in Japan than in the U.S. for instance though. What I can say is that eating these fermented foods seems to be helping my digestive system to gradually recover. I no longer have to take laxatives or - the stuff you take when you have the opposite problem. My plumbing isn't totally back to normal yet, but they're getting there. Plus trying to figure out how to incorporate as many fermented foods as possible in tasty ways has been quite interesting. I'll be posting the successful attempts on these pages. I love hummus (here's my original recipe, posted 9 years ago! yikes!) which is full of fiber and good vegetable proteins. 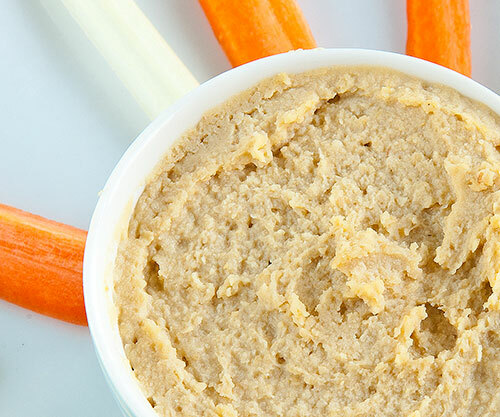 Adding miso to hummus makes it even better nutritionally. The miso does not make the hummis taste 'weird' or anything - just more flavorful. Perhaps it's because miso is made from beans (soybeans), and beans just got well together. A food processor is recommended for this recipe, although a stick blender will work too, as will a mortar and pestle if you have patience and a lot of elbow grease. Drain the chickpeas, and rinse them off under running water in a colander. Peel and grate the garlic cloves on a fine grater or microplane.I prefer to grate the garlic before adding it to the food processor because i don't like getting big bits of raw garlic. Put the drained and rinsed chickpeas, miso, grated garlic, lemon juice.and tahini in the bowl of a food processor. Process until smooth. Add olive oil and process more. Adust the texture (it should be thick paste that is a bit looser than peanut butter) with more oil and/or lemon juice. Taste, and add some salt if needed (you will probably not need any since the miso is quite salty), and pepper if desired. Store in a covered container in the refrigerator for up to a week or so. 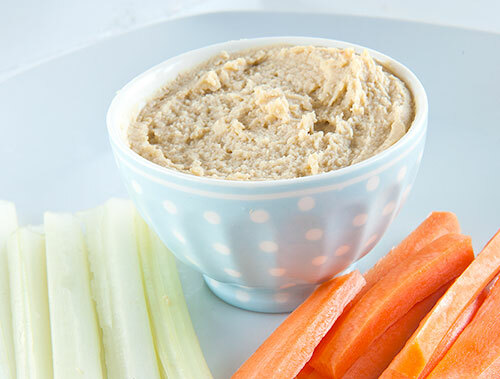 Add yogurt to the hummus to make it more liquid, which works well as a dipping sauce. The yogurt adds tanginess as well as even more beneficial flora. Submitted by maki on 2013-01-31 15:29. I think my next batch of Hummus I make I will Lactoferment the Garbanzo's before cooking. How do you lacto-ferment beans? (and is it even a good idea to do so? Fermenting beans doesn't sound like a very good thing. With something like natto, a specific fungus is added to them (nattokinase, which grows on rice straw). Lacto-fermented beans are very good for you. They are cultured with non-iodized salt and probiotic lactobacillus (sp?) bacteria, which is available in capsules if not through whey or kefir. For a recipe and a lot more good ideas, join the Yahoo group called Microbial Nutrition. There's also a Tempe group on Yahoo with instructions in the earlier posts. Thank you for the hummus with miso recipe. I make hummus all the time, and will try this right away! One can also make hummus using other beans, and/or peanut or almond butter if tahini isn't available. I add a bit of toasted sesame oil if I sub. for the tahini. I think I will make this today. I have been working on getting more veggies into my diet. Thanks for sharing. I always have miso when I've over indulged in cocktails. It really helps my stomach feel so much better. Hope it keeps helping you and your insides. Glad to hear you're on the road to recovery. So, I have an interesting caveat here. If a patient is on immuno-supressants for some reason, Miso is on the no-fly list usually. My mother was specifically prohibited from any miso products of any kind when she was recovering from leukemia and a bone marrow transplant. Not to say that this applies to everyone! Just that people should check the diet given to them by their doctors carefully. I'm guessing her no-fly list would include foods such as cheese, too? Perhaps not in general but brie and rochefort and such which are high in bacteria at least. Basically anything that contains bacteria since while they're good for you when you're healthy, they could pose a serious threat to your health if you have a deficient immune system. Apparently, this is quite common for people who receive treatments that put great strain on your body (such as chemotherapy). I'd take that advice with a grain of salt, personally. I did CHOP-R chemo for lymphoma last year (which essentially temporarily shuts down your marrow while killing off your white blood cells), and there were times that the only thing I could eat was kimchi. My impression was that most doctors are of the impression that if it has any bacteria in it, it might kill you -- some of the material I was given told me to avoid yogurt and honey, too -- but really, wouldn't it be better to have beneficial bacteria in your gut when you come across the nastier bacteria that you're likely to be exposed to (unless you don't leave the house _at all_ during your treatment)? I was more careful to avoid eating "questionable" food that was sitting out too long, though. As a side note, kimchijeon is a delicious way to get more kimchi in your diet. But you probably kill all the good bacteria and etc when you cook it. When you are immunosuppressed, even normally "good" bacteria have a higher risk of being harmful. The reason you don't get as sick just living is because your digestive system is completely geared towards killing pathogens. For example, your stomach has a highly acidic pH (1-3), followed immediately by a highly basic intestine (ph 9). Bacteria are generally killed by this process, but if they are protected *say, by being surrounded by food such as a hunk of cheese) then some bacteria can survive. My apologies if this sounds overbearing. I've trained alongside premeds for over 5 years now, and I cringe when people assume that they know better when the doctor because "I did it and I was fine". There's a REASON for all of that training, believe it or not. Agreed - even if something is good for you normally, suppressing the immune system can turn it deadly. When mom was in the bone marrow transplant unit in the hospital, we had to wear booties on our feet, a very specific type of hospital gown/covering thing over our clothes (all gowns are not the same), and wash our hands in a much more thorough way than most people do at home. There were also strict rules about the items that we could even bring in to the unit and the air vents were all UV filtered, so even the air was scrubbed before being allowed in to the area. Following your doctors' advice is a must after any serious (or not so serious) illness for sure. Yes - that's especially true in those early weeks directly after Transplant. Nothing like miso, soda fountain drinks, shared packages of foods or community condiments (ie. ketchup), etc. We had those same requirements, but because our transplant was not donor cells, the length of the restricted diet was less than it is for others. It sounds like you might have Irritable Bowel Syndrome, Maki! I do hope you feel better soon. Glad to hear that you are on the road to recovery. Most people don't really think about gut bacteria and how important they are to your daily functions unless there is a problem with the system. They were sampling a vegetarian miso mushroom pate recipe at my work they other day and the miso really added a lot of flavor depth. It's probably a similar flavor component in the hummus. I've got some miso in the fridge and a pantry full of garbanzo beans. I'll have to try this today! Traditionally fermented sauerkraut is another one to add to the list (unless you consider it a pickle?). I used to hate sauerkraut until I had Bubbies. I have sauerkraut up there under the 'fermented and pickled vegetables' (non-Japanese) category. Sauerkraut was and is an excellent source of vitamins too, especially in the winter months. My digestive system is just naturally sluggish. I've recently started making kimchi, and not only is it making me more "regular" (partly fibre, partly bugs, I imagine) but it is a great appetite suppressant. I have a bowl of kimchi/pork stew with an egg in it for dinner and I have no desire at all to snack on Christmas cake or chocolate truffles for the rest of the evening. Kimchi pork stew with an egg. That really does sound good. Do you have a recipe? I've never cooked with kimchi, just had it on the side. Cut a bit of pork steak into cubes or strips, brown them in a pan. Add about a cup of kimchi with juice, and a teaspoon or so of Korean chilli paste (not necessary, but nice), bring to a simmer. Put lid on pan and simmer until pork is tender. Make a little indentation in the stew and break an egg into it. Replace the lid and simmer until egg white is cooked. Carefully transfer it all to your bowl and eat. When you break the egg yolk it runs through the kimchi/pork like a sauce. Very yummy. Hugs, Maki! I'm not sure whether you're able to take dairy products, but a Croatian friend of mine gave me some live kefir starter. Everyday, I've been making fresh kefir with it (very easy, just stir into milk and let it sit on the counter for 24 hours). It's supposed to have loads more beneficial bacteria than yogurt. I'm sure you can find kefir starter (grains) in Europe. My friend says that it has helped her kids get over eczema and other allergies. +1 on the kefir, I have dodgy guts too and it's helped with that (although I'm ok with lactose). What a good idea, I'm going to make this tomorrow! Two things I love together at last! In case you would like to add another health giving practice to your day, you could try this....when I had cancer, my Natural Health practitioner made a strong case for a daily dose of wheatgrass juice. I grew it, juiced it, and drank 2 oz of it every day for 2 + years. It acts as a cleanse for the digestive system (enzymes), which keeps things regular as well as satisfying daily requirements for complete nutrition.....and it offers the life force energy of living juice! This post reminds me to seek out fermented foods and add them to my diet....I will be making your Hummus soon. I love variations on hummus so I will definitely try this. I started to make kvass last year. This is a highly popular Russian/Ukraine drink that is sold on the streets. It is a fermented drink, easy to make, looks like beer, and is very lightly alcoholic (depends on how you make it). If you have dense unsliced rye bread ('borodino' bread) in your area then you can try it. Chop the bread in cubes and dry in oven. Put in a big jar (pre-heated so that boiling water will not crackit) and add 3 liters water. Cover, leave for 24 hours. Drain bread to only have liquid. Bread pudding can be made with the bread. Add 1 tablespoon common bread yeast to the liquid (dilute yeast in some warm water). Add 1/4 cup honey, stir well, cover and forget for 3-4 days in a room corner. Get 3 empty sake (or other) 750ml bottle. Fill each with approx. 500ml. Add about 10 raisins to each. Close the bottle tightly and forget 3 days. Put in fridge. Very refreshing. Open nearby a sink, just in case it's very potent. Another nice fermented one is jiuniang 酒酿. It is a bit like amazake, but not the same. Jiuniang has yeast, is made with sweet rice, and requires much less temperature (29C). So that's not a starch converter reactor like making amazake is at 60C. But it has yeast. If you can try making some depends a lot on the availability of jiuniang yeast mix at the nearest Chinese supermarket. They are sold as white balls in a bag. Also fermented, Chinese tofu ru could be interesting although strong (some sweeter in red rice wine brine is also available). Tofu ru is the real tofu equivalent to cheese (plain tofu is not). Cubes of tofu are 'activated' with rhizopus bacteria (eg. tempeh) for a few days, then immersed in a often spicy brine for 5-6 months. Sold in small jars at Chinese supermarkets. For pickling, miso is also quite good. Bury chopped vegetables in miso and forget them for a while. If available fresh in your area, vegetables pickled in sake kasu (cauliflowers) are nice. Hope these few ideas on fermentation can add to your experience. Please take good care ! Hi Maki, in some parts of Lebanon, we add the zest of the lemon (why waste it?) to the hummus and it adds some nice zip as does a pinch of Aleppo pepper. You aren't that far out from the radiation. It will slowly get better. Take some psyillium fiber every day, start low and work up the dose. It's a good soluble fiber (like pectin, or the the gluey part of oatmeal) and it helps the good bacteria get a foot hold. Unfortunately, only certain strains of probiotics work, but nobody knows exactly which strains those are. You might try a couple. Give yourself some time to, um, attend to matters at the same time every day, usually just after breakfast will be the most productive time. If that doesn't do the trick, ask your doctor about trying a course of the antibiotic called rifaximin. A trick for 'cooking'the garlic when you make hummas: put the crushed raw garlic in the lemon juice for about 5 minutes before you blend everything together. You won't get raw garlic breath and there's no change in the taste of the end result. I'm on long term antibiotics for Lyme Disease and I highly, highly recommend Florastor. It's a kind of probiotic yeast. (Which sounds awful, I know, but because it is pro-biotic it does not contribute to Candida overgrowth or anything like that.) I'll spare you the details but, despite the fact that I'm basically blasting my poor guts with death pills, they are working as they should. I also drink kefir and eat tons of kimchi but when I stop taking the Florastor, my digestion very quickly deteriorates. Sorry, I know this sounds like a commercial but it's really helped me and I thought I'd share. 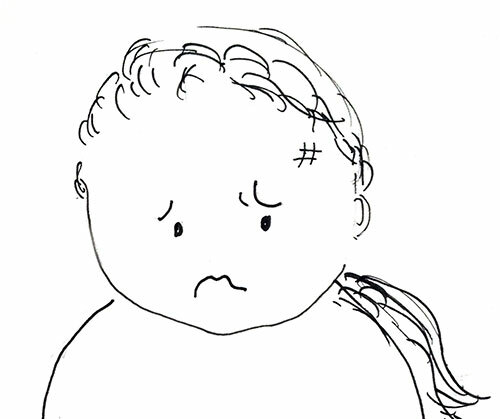 I had extreme digestive problems on my first round of antibiotics and that was awful enough in itself; I can't imagine what it is like to deal with digestion issues after abdomincal surgery. Pulling the convo away from speculative medical advice, this hummus is fantastic. I had to make several substitutions, and even so, this is culinary fusion at its best. The miso imparts savoriness and bold saltiness that really elevate the dsih. I only had red miso on hand, so I used a tad less. As I hate how bitter store-bought tahini can be, I just whizzed some toasted sesame seeds in my spice grinder and thinned them with olive oil. Limes lent additional intrigue to the flavor. This is an excellent suggestion, Maki. My taste buds and my large intestine thank you. Sounds like a great plan, I love making my own hummus and this looks like a really great recipe. I’ve never used miso paste before. By the way did you know how long will it stay fresh in the fridge? ?